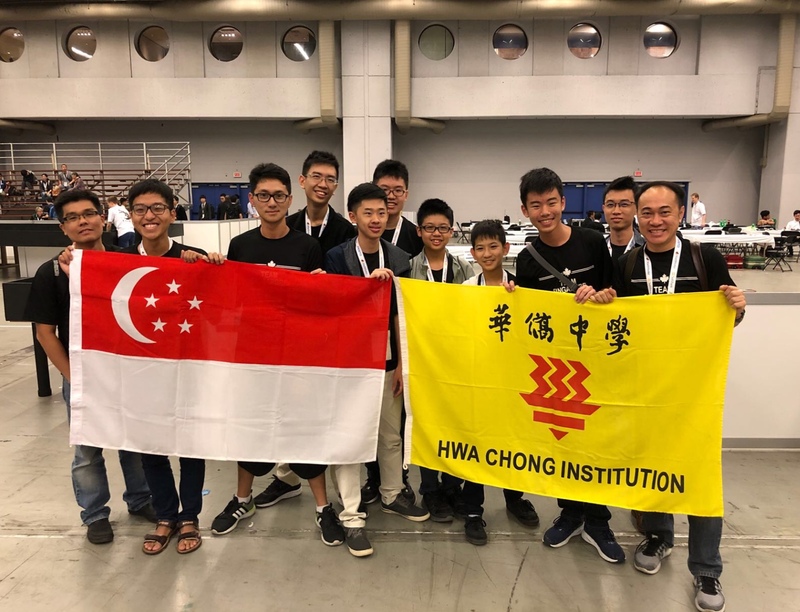 Last year, Hwa Chong Infocomm and Robotics Society has achieved stellar results at the Robocup Singapore Open and we are honored to send 2 teams to represent Singapore at RoboCup Montreal in June. 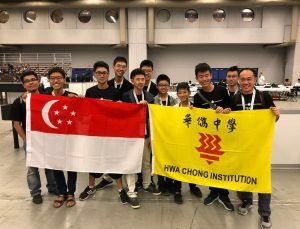 The JC team, Chicken McNuggets, participated in the RoboCup Junior Rescue Line category and emerged champions in Singapore. The win was unexpected as we had barely edged out National Junior College team for 1st place after the final round. Hence, it was a pleasant surprise. After Singapore Open, we felt that our EV3 controlled robot could not compete at an international level and thus, decided to switch to Arduino, which has much better capabilities and flexibility. 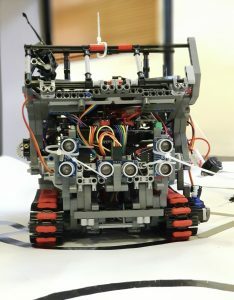 It was an uphill task as none of us had any experience with Arduino and we only had less than 2 months to rebuild the robot from scratch, all while juggling heavy academics commitments. 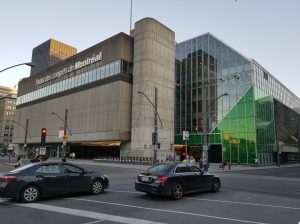 This year, RoboCup was held in Montreal, Canada from 18 June to 22 June, with 4000 participants from 35 countries and over 5000 robots competing. On first day of the competition, we had the opportunity to practice on the practice field after registration. 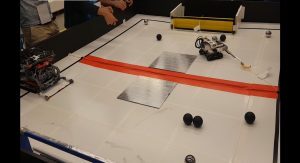 For the first time, we saw the other teams’ robots and we were amazed at the huge variety of robots and how unique some robot designs were. 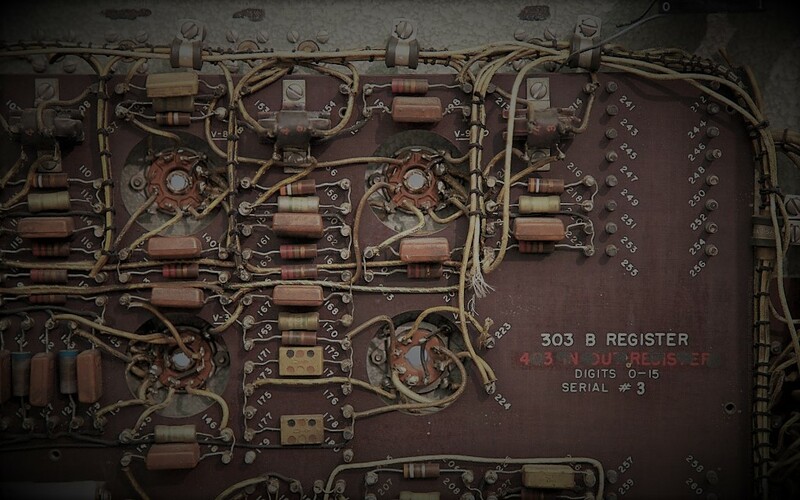 Some teams even used different types of microcontrollers and programming language which we had never seen before. The competition officially began. After our first run, we realised that our compass was not calibrated properly. As a result, the robot’s turning was very inaccurate. We tried re-calibrating but made no progress. Throughout the 4 runs, the compass did not work at all. This was partly due to the difference in magnetic field strength between Singapore and Canada as well as our limited understanding of the compass. In addition, the turns in the evacuation room were not properly calibrated and were not consolidated with the main line tracking program. Hence, there were delays and the program was not put together properly until the end of the day. The playfields became more complicated and an an obstacle was even included in the middle. Additionally, sticks were scattered onto the playfields which intentionally covered up a significant portion of the intersections and thus, posed a challenge to us as the sticks got caught underneath the robot and affected the light array values. Thus, we decided that some of us would work on a backup robot after the 5th run, which is controlled by EV3 as the main robot could not function to its fullest potential. It gave us something which we were more comfortable with to fall back on given that we used EV3 during the SG Open. 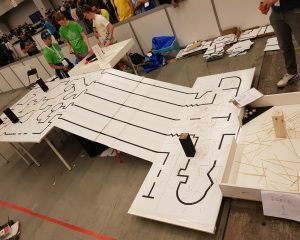 On the final day of the team competition, the playfields were merged into 1 single playfield which had 2 robots running together on a single field at the same time. The difficulty level had significantly increased, given its extremely long course, and long ramp which was elevated. 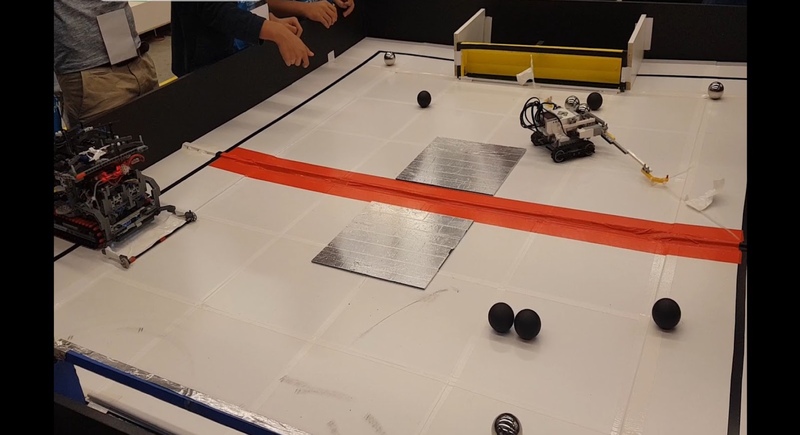 Unfortunately, despite our valiant efforts to rectify the line tracking program, many problems occurred throughout the 10 runs for line tracking and the main robot did not have much success. Later during the 4th day, the superteam challenge was announced. This challenge incorporated many components from soccer while collaborating with another team. With the field divided into 2, we had to work with a team from the United States to collect balls (victims), and deposit the dead and alive victims (black and silver balls respectively) into their corresponding goalposts without crossing over to the other side of the field. We quickly worked out a strategy which was simple yet innovative and finished with a respectable ranking of 6/7th. 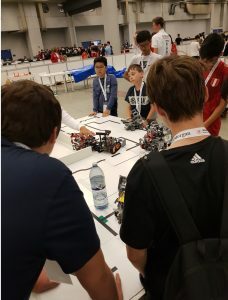 As a whole, we were disappointed that our robot did not perform as well as we hoped on an international stage and only placed 29th out of 38 teams. However, it had been a very fruitful and meaningful experience for us all. We came a long way from when we first started working on the robot. We were also glad that we managed to learn Arduino from scratch within 2 months without much external guidance while juggling our studies at the same time. Another takeaway from this experience was to not be too ambitious as we wasted valuable time and money trying to get an OpenMV camera to work for victim detection in the evacuation room, but ended up scrapping the project in favour of a more reliable and simple strategy of simply sweeping the room. Through this international competition, we had the opportunity to interact with our fellow competitors and learnt from one another by watching their runs. We were able to pick out interesting mechanism designs to collect the victims and learnt different types of strategies which we never thought of before. We enjoyed touring around the venue to see the other leagues in action like small size soccer league, humanoid soccer, industrial league and many more. It exposed us to how diverse the field of engineering and robotics could be. Certainly, it has been an eye opening and enriching experience for us. In conclusion, we are extremely grateful for the opportunity to represent Singapore at RoboCup 2018. We fostered many meaningful friendships at RoboCup and learnt a lot from others. With the experience we gained, HC Robotics will definitely come back stronger and better next year, and we will definitely strive to represent Singapore again at RoboCup Sydney 2019 in all categories. Deng Jun: I’m extremely grateful for the opportunity to be able to participate in RoboCup Montreal. It was a fruitful experience for me as I got the opportunity to be exposed to a different side of robotics which is a rare for most people in Singapore. 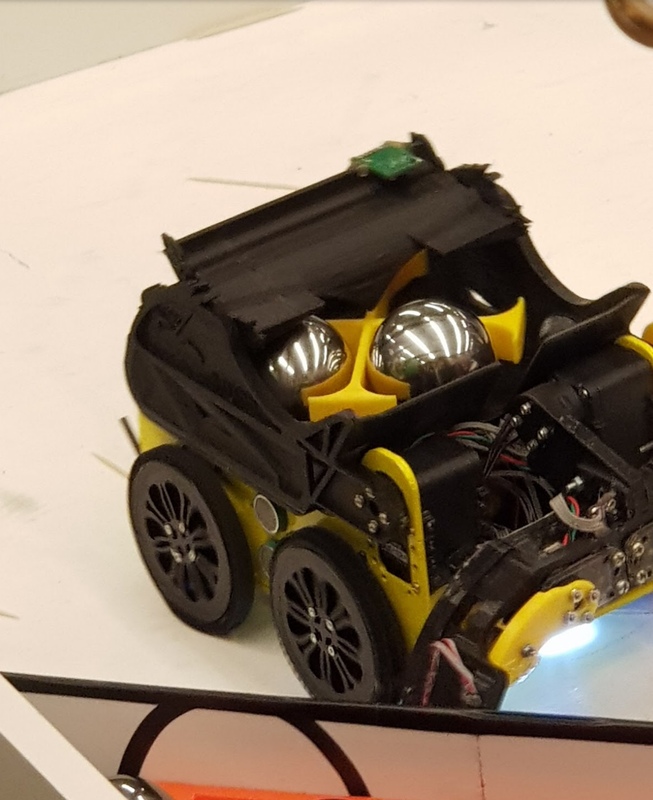 However, I feel that I could have contributed more towards the technical aspects of the robot given that I was in-charge of integrating a camera into our robot, which we eventually scrapped in favour of a simpler, less complicated method. Ho Chi: This entire robocup journey was enjoyable and I learned a lot from it. I was mainly responsible for the circuitry and partially for the programming, and although I felt that there could be alot to improve on, I think that this was a good first try for me. Huy: Robocup has been a deeply rewarding experience for me, and has opened my eyes to the majesty and wonder of the robotics world. It has shown me that I am capable of doing anything and everything that I set my mind to, and that I should never be afraid to dream big. Ian: My participation in Robocup has given me incredibly valuable, once-in-a-lifetime experience to bond with my fellow CCA mates, and build closer ties with our friends from overseas. I have also been able to improve myself, both in terms of my knowledge and skill set. 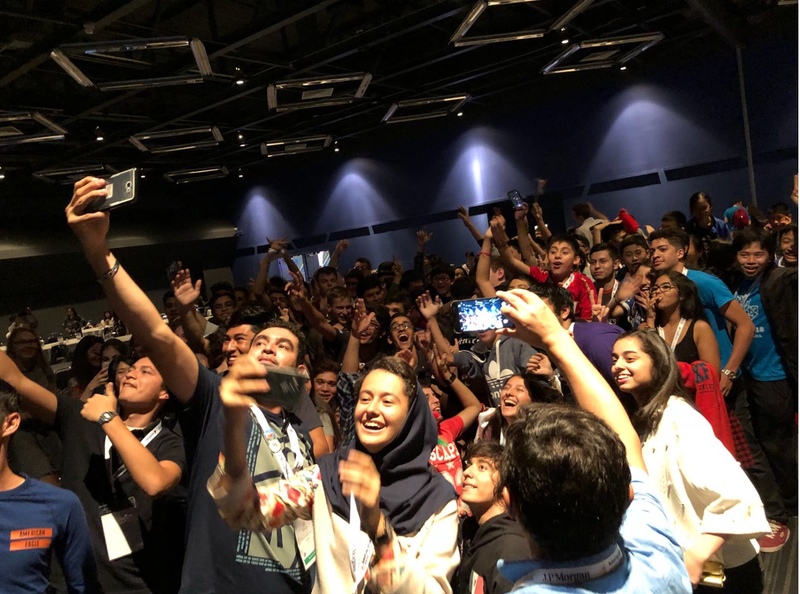 Robocup has been a truly unforgettable experience that will stick with me for a lifetime. Did you know that IRS has created an Open House App for HCI (College) Open House 2019? The app allows you to stay up to date with the latest schedules and tour routes, navigate our vast campus grounds with ease, as well as look up basic information on the CCAs that Hwa Chong has to offer! What are you waiting for? Download the app now and be sure to drop by our booth at the Left Wing if you have any queries. Hope to see y’all during Open House on 15 Jan 2019 (Tuesday) from 12-4pm! Over the past weekend, we have participated in CrossCTF, a wonderful competition jointly organised by NUS, NTU and SMU. Here are writeups for the few challenges we solved. 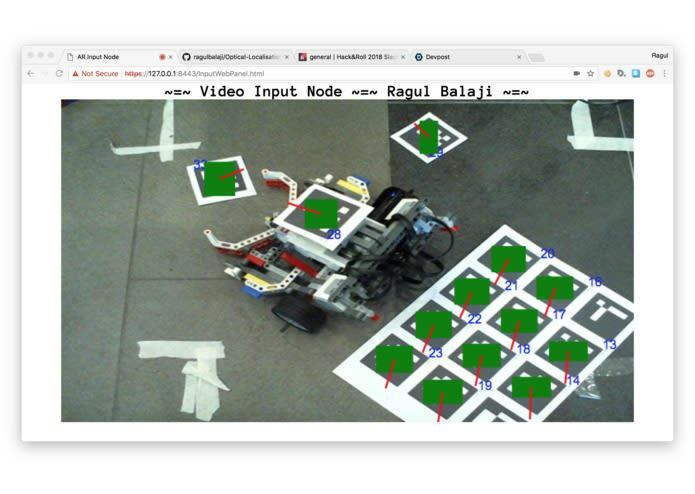 Instead of having bots in a play field to act autonomously, a central server with a god view of the play field controls them by dispatching commands to each of the bots. This greatly reduces the cost and complexity of the set up, as each bot no longer needs to be fitted with a wide array of expensive sensors, and the server only requires a camera. The god view is attained by having unique AR markers indicating landmarks in the play field, such as the corners of the play field, the bots, and objects for the bots to interact with. By normalizing the images detected due to the markers and doing some math, the server can calculate exact movements required by the bots, and dispatch them to the bots. 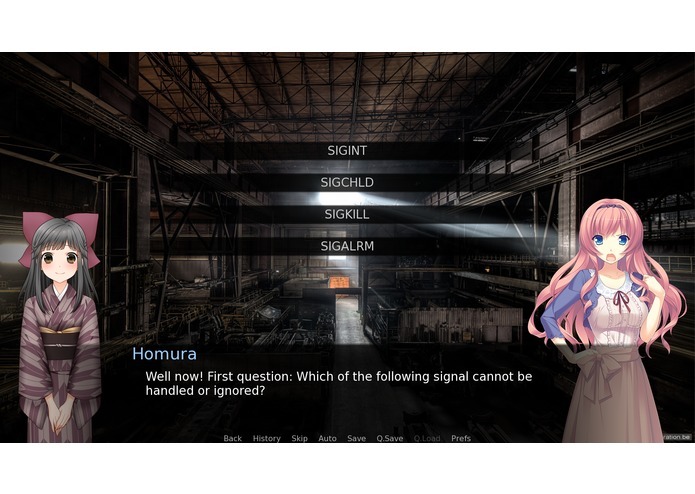 The Visual Novel teaches basic to intermediate computer science concepts within its immersive and engaging storyline. 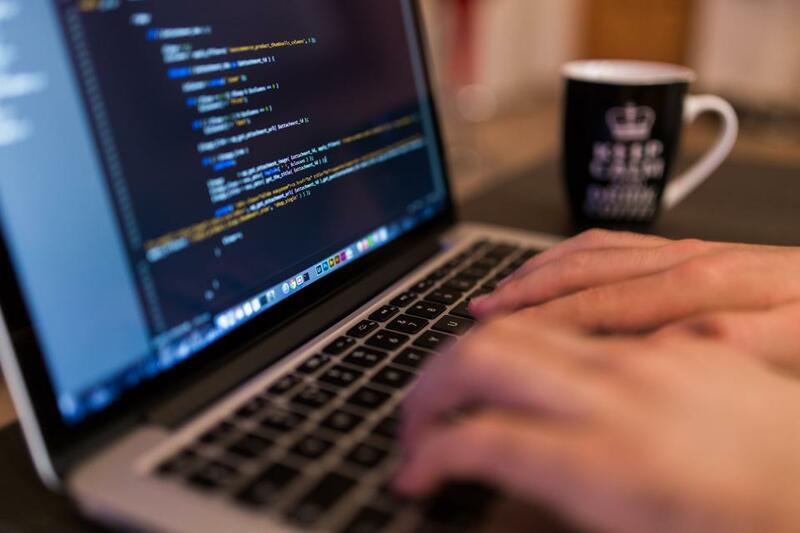 Its broad focus on subject areas including Linux, Operating Systems, Networking, Web, and Cyber Security also helps expose players to different aspects of computer science. Unhappy with the lack of Net Neutrality in the 21st Century and wanted to change this, this project provide a means of data transmission over a high data traffic network – in the case of this project, Whatsapp. This project shows that even through the whitelisting of specific applications do not effectively restrict one’s Internet access, as one can, just as in our project, make use of high data traffic applications and websites in order to improve their Internet access to lower data traffic ones. The project provide a platform for people to securely store their files. Files are encrypted (with the original file discarded), and the secret decryption key (which is also later discarded) is split into shares which are essentially “keys” that, when enough are put together, allow for the original key to be recovered. Gaining access to the files requires an adjustable number of shares that are combined together to form the final secret. For example, if the number of shares is set to 5 and the threshold is 3, there will be a total of 5 shares to be distributed, and 3 or more are required for the original key to be recovered and hence decrypt the file. This can be used in a variety of ways, such as to ensure credibility and also to make sure that files can be retrieved still even if some of the shares are lost. To further add security, whenever the file is decrypted, the decrypted file is promptly deleted after the user downloads the file. Out of the 4 projects, 2 won an award at the event. The Scarlet Road won the People’s Choice Award while Data Transmission using Whatsapp won the Platinum Sponsor Sea-pecial Prize. 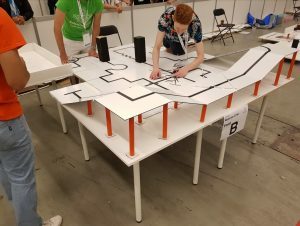 See you at Hack & Roll 2019! 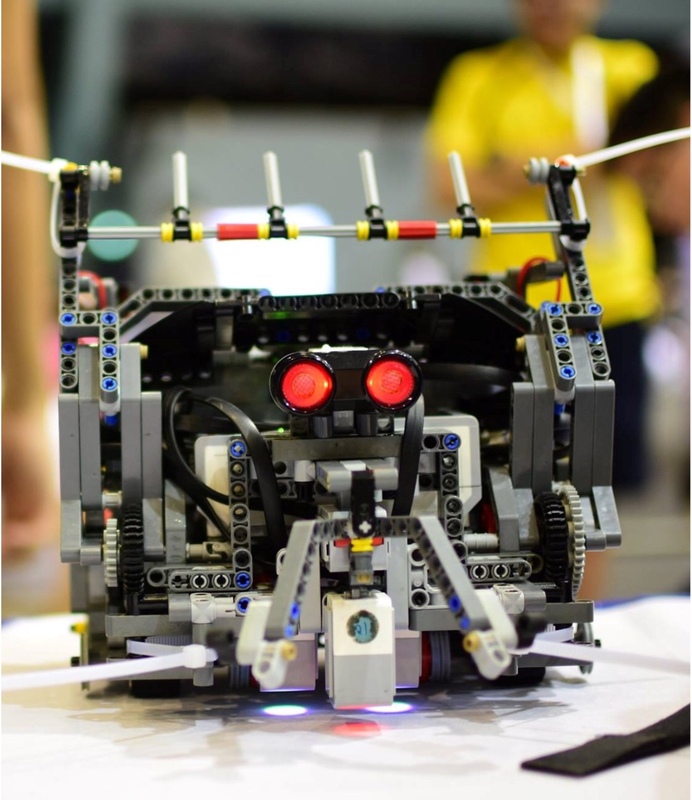 The Infocomm and Robotics Society has done Hwa Chong proud with another victory at this year’s Cyber Defenders Discovery Camp (CDDC). Two groups of students were sent to compete in the Junior College Category, butting heads against more than 400 participants across the field. Our students underwent a 3 day training program where they learnt the ropes, and then put their newly acquired skills to the test in a gruelling competition lasting two entire days. After slogging away at a tremendous array of well over 100 challenges, our teams accumulated enough points to sweep the top two spots for their category. 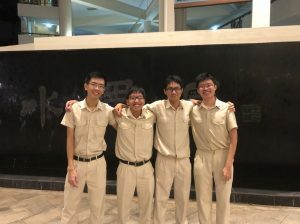 The First Place Team displayed on the left comprises (from left to right) Ding Ruida, Li Bailin, Won Ying Keat and Zhang Chenxin. The Second Place Team on the right comprises (from left to right) Liew Zhao Wei, Eleanor Loh, Tan Wei Seng and Lee Ian Ee. There were also familiar faces at the competition. 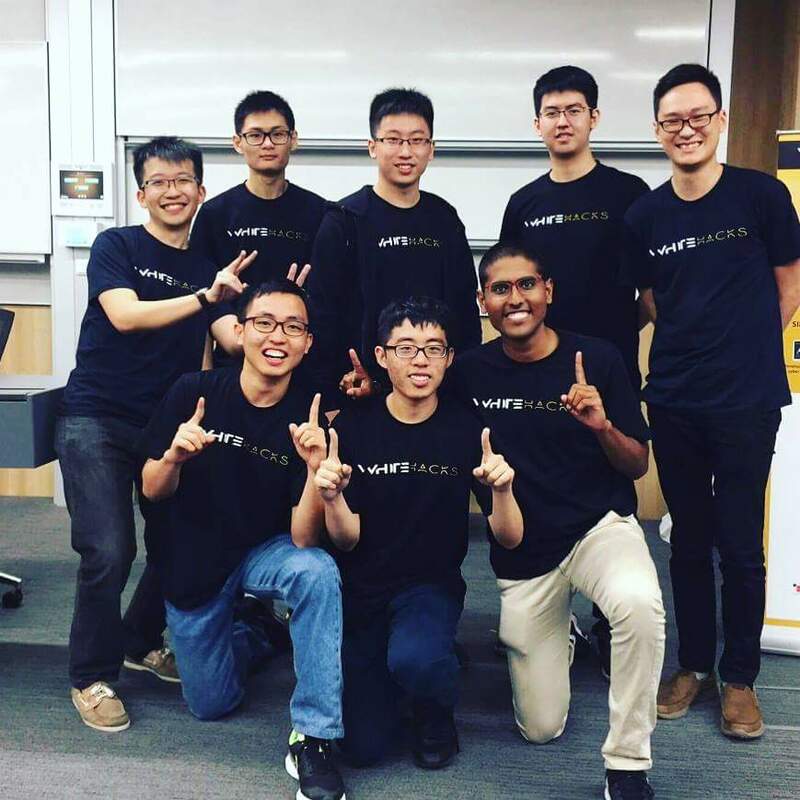 HCIRS alumni Ho Jie Feng and Ragul Balaji participated with two other members in the University/Polytechnic Category and secured First Place overall. Congratulations to all our high achievers! 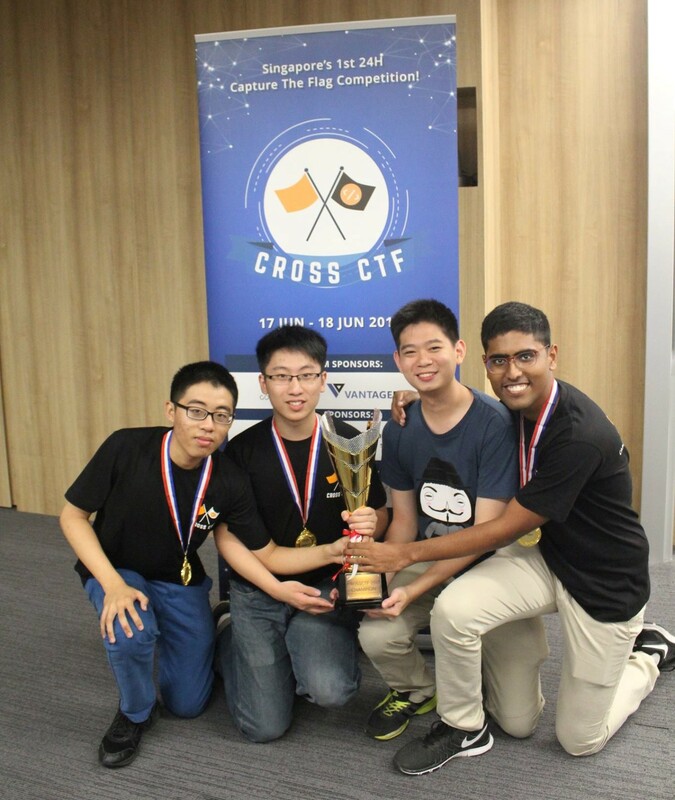 A group of Hwa Chong students and alumni have managed to bag first place at Cross CTF 2017, a cyber security competition open to teams from various tertiary institutions. They clinched first at the preliminary round, earning a spot at the finals. 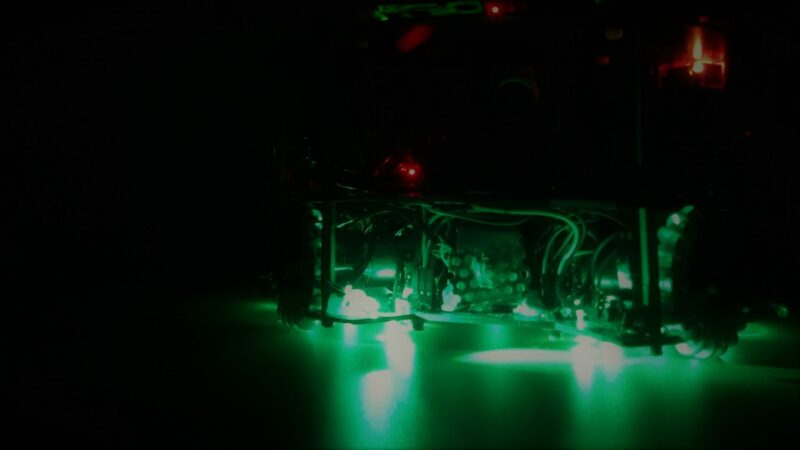 On the 17th of June, they arrived at SMU to compete against 18 other teams in the 24-hour live attack-defense Capture the Flag (CTF) finals, and managed to take first place with a substantial margin over other competitors. Congratulations to team T0X1C V4P0R once again! 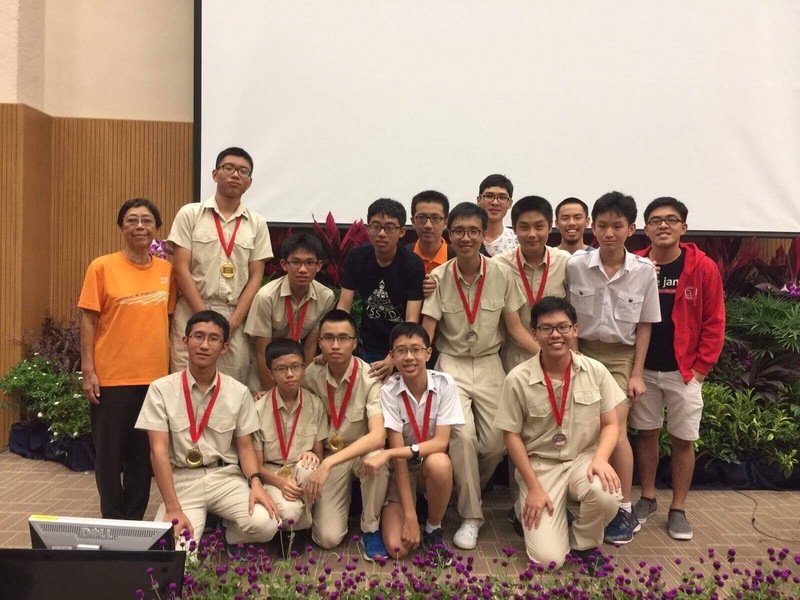 Hwa Chong wins cybersecurity competition again. 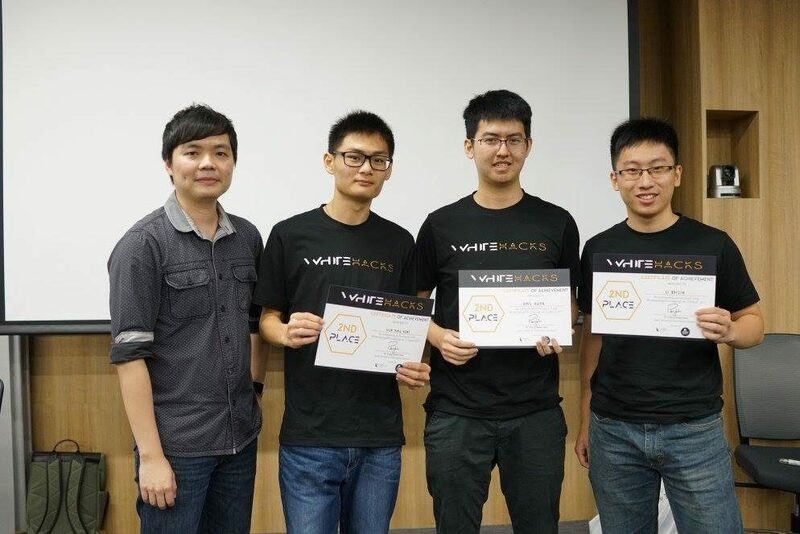 On the 12th of March, Team T0x1c V4p0r from HCIRS finished first runner up in Whitehacks 2017, only losing to the top team by a narrow margin of one challenge. The top teams consist of ex-hwachong (t0x1c v4p0r) members as well.